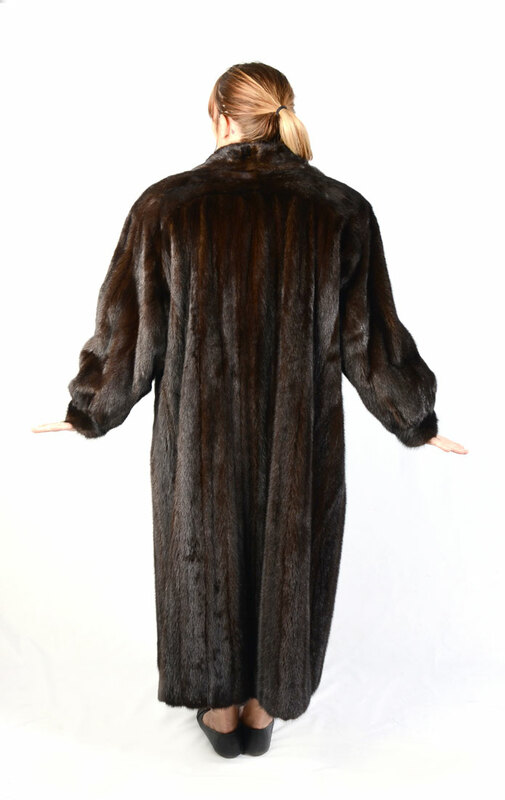 DESIGNER G. FOX FULL LENGTH BROWN MINK COAT: Luster of this mink coat is very nice. Full fitting, approx size 10-12. 3 snap front closures. 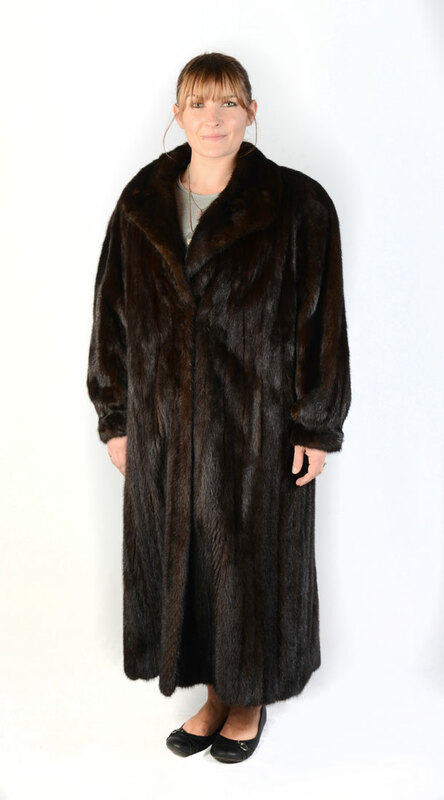 The dark brown lining compliments the dark brown color of the mink. Approx measurements: 17'' across shoulders, neck to cuff measures approx 27'', 50'' from neck to hem. 2 front slit pockets. CONDITION: Initials embroidered in lining. In good/very good condition.